My name is Jerry Hedden. 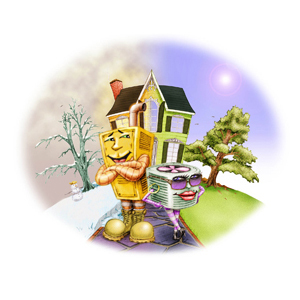 I am the Lead Technician and owner of Hedden's Heat and Air. I have been in the Heating and Air trade for over 30 years. I am a licensed contractor and an Accredited Member of the Better Business Bureau. I started Hedden's Heat and Air in 2007 and since then I have been blessed with many wonderful and loyal customers throughout the Valley. My goal as a business owner is to provide my customers with quality workmanship and the highest energy efficient equiptment available so you can relax and stay comfortable in any weather without the stress of outrageous electric bills. Call today to set up an appt. for a Routine Maintenence Inspection, or a free estimate for a new unit. I look forward to hearing from you. Same Day Service for most Service Calls.